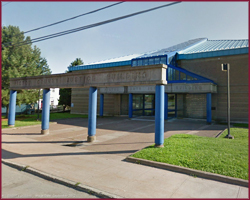 There are five levels and/or types of Courts that serve Pictou County, including Supreme Court, Provincial Court, Family Court, Small Claims Court, and Probate Court. The main courthouse is located at 69 Water St., in Pictou. The Supreme Court and Family Court judges who are based in Pictou also sit in Antigonish. An Adjudicator presides over Small Claims Court and the Registrar presides over Probate Court.